Princess jimmy, hunitumia. It took me the whole morming e.e'. HD Wallpaper and background images in the Disney crossover club tagged: disney crossover disney crossover jasmine kida. 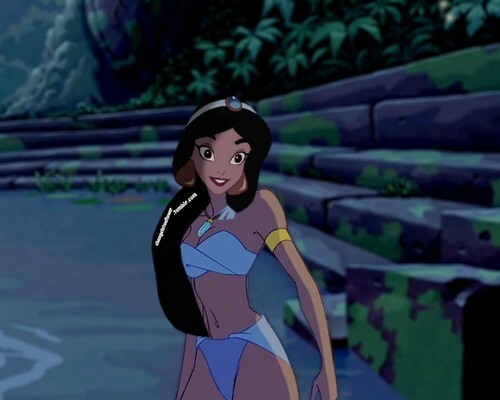 This Disney crossover photo might contain bikini, wawili kipande swimsuit, suti kuoga, mbili kipande swimsuit, kuogelea, swimsuit, swimwear, suti kuoga, kuogelea costume, kuoga costume, kuogelea, and swimming costume.